Like some heart-wrenching Shakespearian drama set in the stark confines of captivity, one lonely female monkey at a UK zoo has shown remarkable problem-solving skills in a desperate bid to be reunited with her forbidden love. According to workers at the Durrell Wildlife Park, a Sulawesi crested black macaque named Bella managed to breach not one, but two electric fences that had been installed to keep her apart from her long-time companion. Bella's mate, named Malino, had recently been torn away from her and the zoo's other female macaques to make room for a new dominant male. Not long after, the group, led by Bella, managed to slip free of their enclosure as they tried to track him down -- though, sadly, the brazen break-out was quickly foiled. Zoo staff later erected an electric fence to squash any future escape attempts, but it proved no match for Bella's desire to see her partner. Amazingly, the clever monkey figured out how to disarm the barrier by poking at it with a wet blade of grass. Even after a second electric fence was installed on the perimeter, Bella succeeded in shorting that one out too by balancing the moist grass so it crossed both wires. 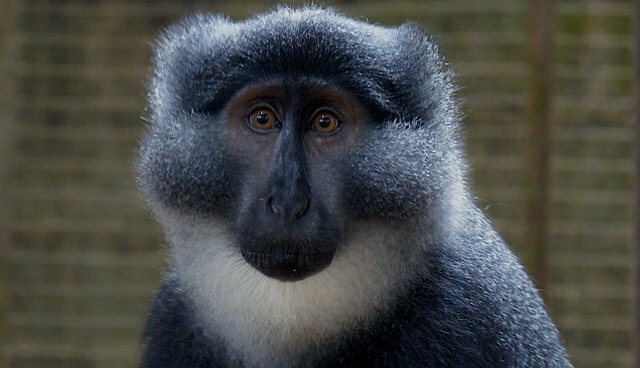 "These monkeys are extremely intelligent and Bella had learned this either by trial and error or by watching another monkey do it," zoo spokesperson Rick Jones told the Western Daily Press, noting that Bella's clear longing for Malino is just part of life for zoo animals. "In captivity, they can't move on, so we had to make a second enclosure and split our group when a certain male comes of age," he says. But the morose monkey's great efforts to be with her mate have garnered little sympathy among her keepers, arguably the antagonists of this real-life drama -- instead they're threatening to punish her lest she fall into line. "We do not want to have to lock Bella into an outside area on her own." As pesky as it may seem to those whose job it is to keep animals under lock and key, Bella is hardly the first zoo captive to demonstrate a strong desire to escape. In fact, some of the most impressive examples of animal ingenuity can be seen in their attempts at freedom.